Those were cool bikes ! I use to ride with a guy back in the 80's that had one, his didn't have the fairing, bags or trunk, that was a cool bike. mine was a 1980 Suzuki GS850L. paid $300 for it cause it was leaking oil out of a homemade engine gasket. had my buddy fix that pretty cheap, replaced the battery, seat cover and handlebars and rode it for 2 or 3 years. then sold it for $650 with two flat tires and a smashed headlight courtesy of some neighborhood kids. Wow... different brands just weren't that different, even back then! Nope, most Japanese bikes in those days were almost cookie-cutter! Lot's changed since then. 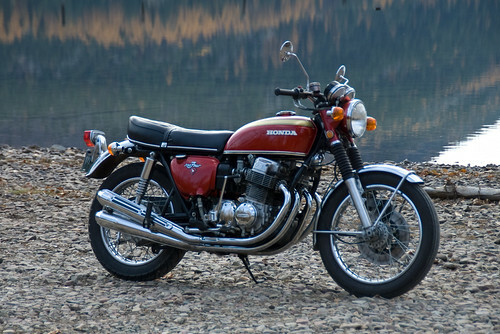 . .
My first bike was a 1970-something Honda 175. Orange, had a funky windshield on it my Dad got somewhere - but it was a bike!! Rode the crap out of it, and then sold it in a fit of stupidity. Next was a Brand New H-D Sportster. Had it for all of 5 days, until an "intoxicated" driver pulled in front of me and I put it in her driver's door. Took quite a while to heal up from that one . 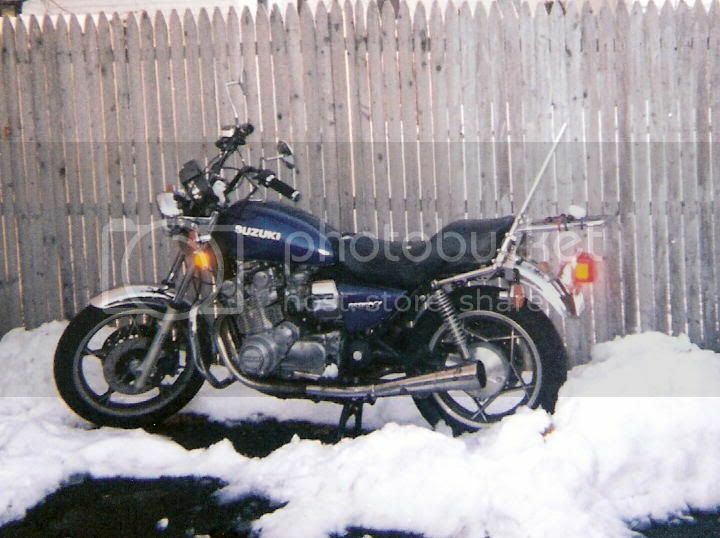 . .
Then came a Yamaha XS650, and now my Kawa ZL600. Unfortunately, no pix of anything but my ZL still exist. 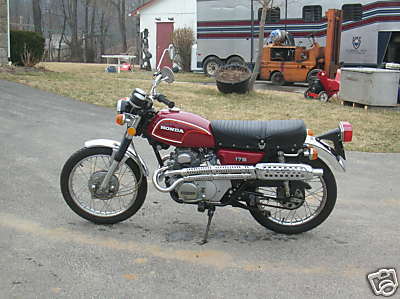 . .
My first bike was a 1970-something Honda 175. Next was a Brand New H-D Sportster. 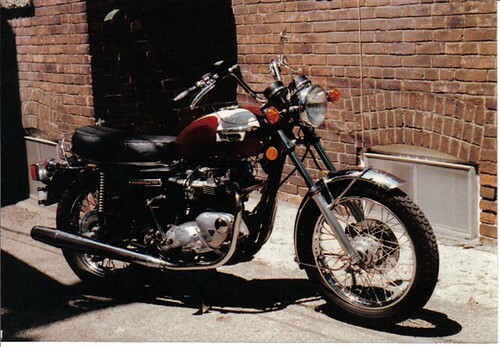 Then came a Yamaha XS650, and now my Kawa ZL600. Unfortunately, no pix of anything but my ZL still exist. . .
Well, ya know, pictures of antiques from so long ago aren't easy to come by. . . .
Everyone knows what an HD Sporty looks like. . .
My 900 is my first bike. Love those vintage lines, though. The first one that mattered. Got tired of going slow. Likewise. Put me in the hospital. Last edited by elr658; 08-15-2009 at 09:55 PM.